Always surprises me the creative designs people can come up with – found these and since I love Disney to begin with I wanted to share them. 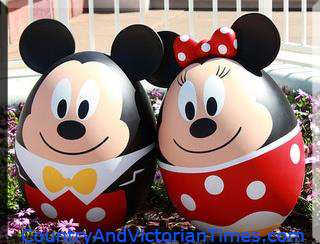 This entry was posted in Crafts ~ DIY ~ Projects, ~Easter and tagged craft, decorated, disney, easter, egg, idea, mickey, minnie. Bookmark the permalink.